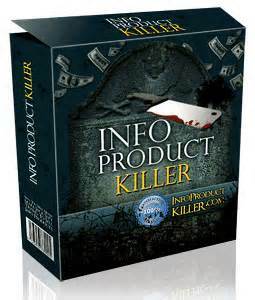 Watch out for Info Product Killer scam until you have had a chance to read my Info Product Killer Review! Give me a few minutes and I will let you know if info product killer is a scam or not! Advertised as a 100% free training video, that is Revolutionary with Military Precision and has never been seen before now! It took 12 months of developing of this Ultimate Online System to bring you this system that with only 3 hours of work per month you will be generating profits in the 6 figure area! Logged into 4 of his accounts that generated $120,000 in one month but only showed screen shots of them? Craig and Rob says that this is for all the people out here that do not make money online right now. Because of all the online scammers out there with there one click solution. They also said that they have decided enough is enough and are very very angry! There was no mention of tools that you would need and this was suppose to be a free training video which never produced any type of training in it! The only thing close to this was that you would only have to enter 3 lines of text onto your computer and click GO with no mention of any support if it did not work for you or download properly. Apparently its just another click and forget it program. I watched the whole free training video, like I said earlier there was no training at all in this video. This product does not guarantee any type of income or success what so ever! Rob Walker starts out in the video in front of Buckingham Palace showing all the glamor that is to come in this video. He introduces Craig Kaye as a online marketer that has generated over 1 million on line sales and this is going to be the first time on camera in over 3 years. Craig comes on saying that a couple of years ago he worked at Walmart stocking the shelf’s, but then a little farther in he also said a couple of years ago he had a business that had gone sour, so whiuch one of these is true? He says his friends calls him the fat Walmart guy and how he makes over $200.000 per month with only 3 hrs work per month. then he shows off his new Lamborghini and says i’m not bragging by showing you this but just showing you that this is real. These guys to me are just another pair of Internet Gurus with there get rich quick scheme again. then he says if you cannot smell the coffee by now then this is not for you so just exit. That is what I did and it stopped me sent me to another screen to offer me a $40 discount for only $9.95 on time charge and this is a one time offer and you will not see this offer again. The funny part of this is every time I got to this page during my research going back thru this several times to get info they offered me this same deal each time! After exiting this screen it took me to another page for: Free Traffic Boosting System Tool that generates 27,257 free visitors per day. Right under this it has this (Get free instant access to the Info Product Killer Traffic Boosting Profit System valued at $147. Yes its free just enter name and email address. I did it and got access to a download of Article To Video which is on my computer now for free which is a free download anyways LMAO! I have came to the conclusion that Info Product Killer Is A scam so please stay away! Info Product Killer at a Glance…. Do you have a personal review or complaint that you would like to share about Info Product Killer? If you do, I would appreciate it if you could leave your comments below! Let me introduce you to a very informative community that will help you build your very own online business consisting of 2 free websites and hosting at no cost to you! 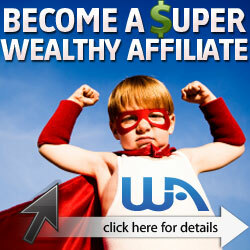 I know you want to do it cause you are on this page researching internet marketing products. Come on join us it is a lot of fun here just click on the Sign Up Free tab below and you will not be disappointing I promise! Craig Kaye’s advertisement video actually says that he made 100 millions dollars on the internet, not just 1 million. It’s much harder to believe in 100 million. I think this whole advertisement is a huge exageration. Do you believe it?